If you have spent more than 90 days, but less than 1 year in the country that issued your driver’s license you will be eligible for a beginners license only. If you have spent more than 1 year in total (not necessarily consecutive) in the country that issued your driver’s license you will be eligible for a regular license. A beginner’s license holder is required to display a beginner’s mark sticker for the first 12 months after issue of the Japanese license, and will be credited with 3 demerit points only. (compared to 6 for a regular license) No other restrictions are placed on beginner’s license holders. Both types of Japanese driver’s license are valid for a maximum of 3 years from the date of issue. The process of license conversion changes according to the country that issued your foreign license. Austria, Australia, Belgium, Canada, Denmark, Finland, France, Germany, Greece, Iceland, Ireland, Italy, Luxembourg, New Zealand, Norway, Portugal, South Korea Spain, Sweden, Switzerland, Taiwan, The Netherlands, United Kingdom. Applicants holding drivers licenses issued in any of the above 22 countries, and one area, listed above do not need to sit for either the written or driving tests when converting their foreign licenses. Applicants holding drivers licenses from countries not listed under the “Test Non-Required” heading above are required to pass both written and driving tests to complete the conversion process. Countries are separated in each category according to the driving safety record. The Japanese government feels it is not necessary for those people from countries that have an equal or better safety record to take a written or driving test. Please feel free to check with us if you are not sure which category you fall under. Driving School or No Driving School? One of the differences between obtaining a license by taking the examinations at a driver’s license test site and obtaining a license by entering a designated driving school is that you are exempt from taking the driving skills examination if you have a diploma issued by a designated driving school. The driving skills examination given at the driver’s license test site is very difficult to pass, and the success rate is very low. More than 90% of Japanese driver’s license holders are graduates of designated driving schools. Although a fee is required to attend a designated driving school, the fee is not high if you consider the value of learning to drive safely in Japan. Obtain a license by passing a written driving knowledge test and a driving skills test at a test site. You can take the examination at a test site in the prefecture in which your certificate of alien registration is currently registered. 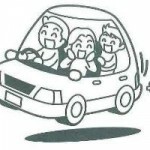 However, you can take the written driving knowledge examination in English in the following prefectures only. In prefectures other than those above, examinations are given in Japanese only. (2) Take the driving skills test at a course set up at the test site. (2) During your practice sessions, you must be accompanied by a person who held a class one driver’s license for more than three years, a person who has a class two driver’s license or an instructor at a designated driving school. This person must be present in the front passenger seat next to you. Driving schools that have been authorized by the Public Safety Commission in each prefecture. If your have a diploma issued by a designated driving school, your are exempt from taking the driving skills examination at the test site in Japan. * A diploma will not be issued in “Paper Driver’s Course” given for people interding to convert their foreign license to a Japanese one. Oh my goodness!! You know about Japanese Driver’s License more than me. I hope you can get it easily. Gooooooooood luck with your exam. Oh my goodness!! You know about Driver’s License more than me. I hope you can get it easily. Gooooooooood luck with your exam.